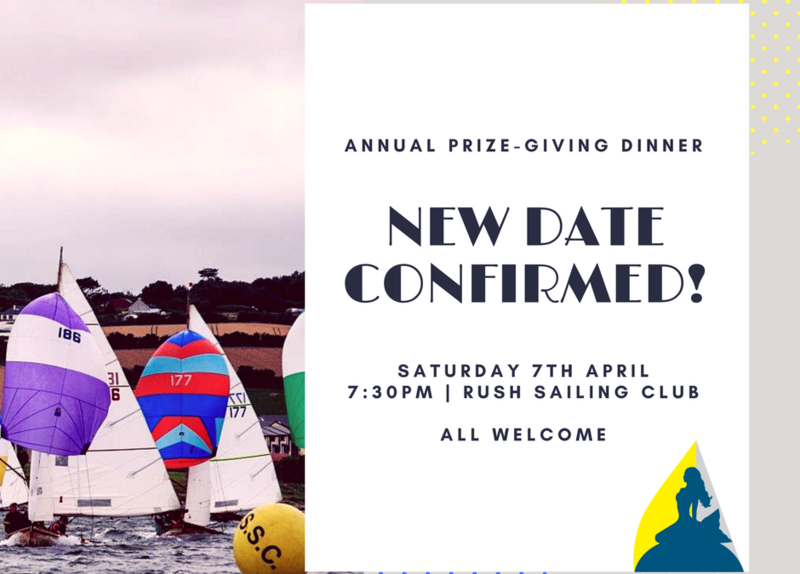 We are delighted to announce that the new date for our annual Prize-Giving Dinner event is Saturday the 7th of April (the original date had to be postponed due to the ‘Beast from the East’). The dinner will be held at Rush Sailing Club, starting at 7:30pm and all are welcome. This event has been growing in popularity in recent years and is a fantastic evening, celebrating the winners and victories of the 2017 Mermaid season as well as allowing members a chance to catch up and plan for the new 2018 season ahead. Tickets are €25 pp and include a 3 course meal on the night. There will be formal presentations and speeches on the evening. Please contact your local club class captain to book tickets or to get further details: http://dublinbaymermaids.com/contact/.